Comment: I have a 4 car garage, and I want to petition 1/4 of the garage by putting up two walls. -one wall is 15 long x 9 ft high, the other wall is 9 ft long by 9 ft high. All I am interested in is the framing. I will be finishing the rest. Comment: Need labor to construct a 12 x 16 storage shed, I'll supply most of the material. Comment: Window has water coming in. Comment: We would like to have a 4 post arbor installed over a walkway to our back yard. Comment: Window in wall a/c opening. Mouldings and crown in living room, 2 bedrooms, enclosed lanai, and around 3 skylights in living room. Comment: I would like to replace the banister and the railing system. Sun City Carpenters are rated 4.82 out of 5 based on 288 reviews of 15 pros. 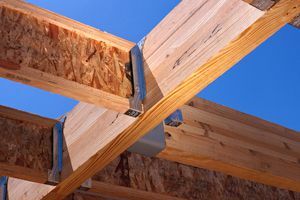 Not Looking for Carpenters Contractors in Sun City, CA?